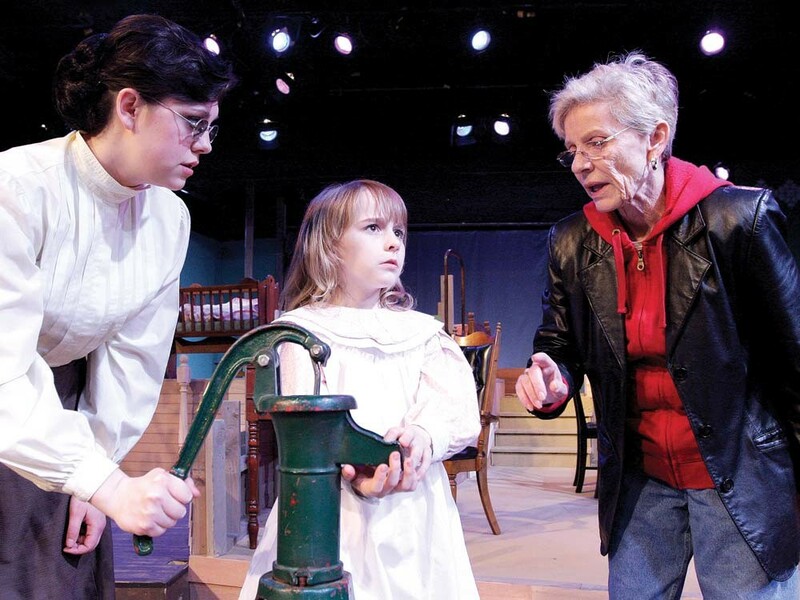 The Miracle Worker is about overcoming disabilities with determination. It's about Patty Duke's life, too. She played Helen Keller while suffering from her own disability. She played Annie Sullivan while displaying her own kind of determination. Now she’s directing The Miracle Worker and drawing on both halves of her complicated personality: the lows and the highs, the give-up defeatism and the never-say-die determination. Patty Duke is directing an overview of her own life. She’s directing it in Spokane because of her friendship with Interplayers Artistic Director Reed McColm, who’s known her since 2003, when they appeared together in Gypsy at Spokane Civic Theatre. But Duke was 12 when she first appeared in The Miracle Worker; she’s 64 now. And a lot has happened in between, as Duke’s 1987 autobiography, Call Me Anna, recounts: alcoholic father, depressive mother, abusive guardians, booze and pills, multiple marriages, the revelation of her bipolar disorder, the long afterlife of the child star. Performing the show without hindsight, after all, is important: In the 1880s, nobody knew that this little Helen Keller girl was going to grow up to become world-famous. For years, McColm has been urging Duke to direct this other show about twins — both disabled, both very determined. As he tells it, “All those theater people in New York are saying, “Patty Duke directing The Miracle Worker — why didn’t we think of that?” At which point Duke sticks her head back in the office and blares out:“HA! HA! HA!” And then she leaves for rehearsal, laughing along the way. You see, the last two times she was involved with The Miracle Worker, all she did was win an Oscar and an Emmy. Now in Spokane — with opening-weekend tickets scarce, several shows already sold out, and the run extended for at least a week — Patty Duke is working toward another prize: directing both sides of herself, and seeing herself whole.